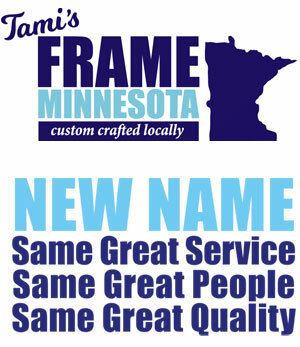 Flag Cases - by Frame Minnesota, Local Frame Shop and Custom Framing Service. 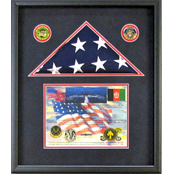 View more flag cases, military, and veterans framing examples. 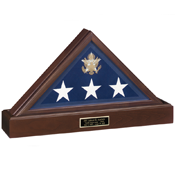 At Frame Minnesota Eagan, we carry a line of beautiful American made flag cases handcrafted in North Carolina. They are made of American hardwoods, including walnut and cherry options. 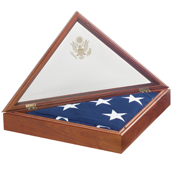 We carry to sizes of flag cases; the larger size is holds any burial flag given to U.S. Military veterans at time of death to honor previous service. The smaller size is used for 3’ x 5’ flags. These flags are given for several reasons: Boy Scout troops and flags brought home by U.S. Military from our bases worldwide. 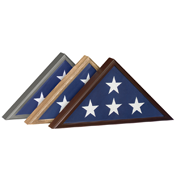 In addition, the smaller flag case fits flags flown in this program: https://www.aoc.gov/flags. 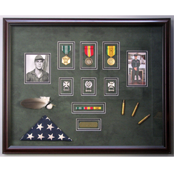 In addition to the flag cases, we also offer custom collages and shadowboxes that are perfect for photos, medals, certificates and any other military memorabilia. We are limited only by your imagination. Not super creative? Don’t worry, we can help. 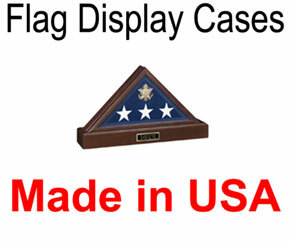 Preserve it with American Made flag cases that will last for years! 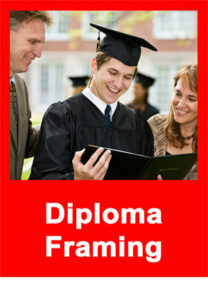 Thousands of frames and backing choices to choose from! 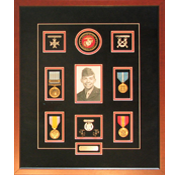 All custom flag cases, flag framing and military display work is done in our shop by trained professionals. 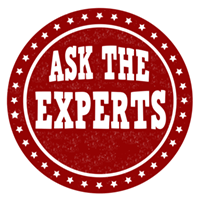 We do just about everything from mat cutting, frame cutting and joining, installing the glass and assembling the whole project on site. We take a lot of pride in what we do and offer a Satisfaction Guarantee. We want to make sure your photo both looks nice and is preserved for years to come.